“China is finally being forced to confront an American president who is willing to use all the tools of national influence to impose costs for Chinese aggression,” former Senator Jim Talent from Missouri wrote on Fox News. “Under President Trump, the United States has finally recognized the comprehensiveness of the challenge from China and is taking action on a number of fronts at the same time,” he continued. President Donald Trump is pushing back the long aggression of Beijing in various fields and his tough lines are working—from trade talks to infamous human rights abuses of the Chinese Communist Party. However, a 3-foot block of ice doesn’t form overnight. 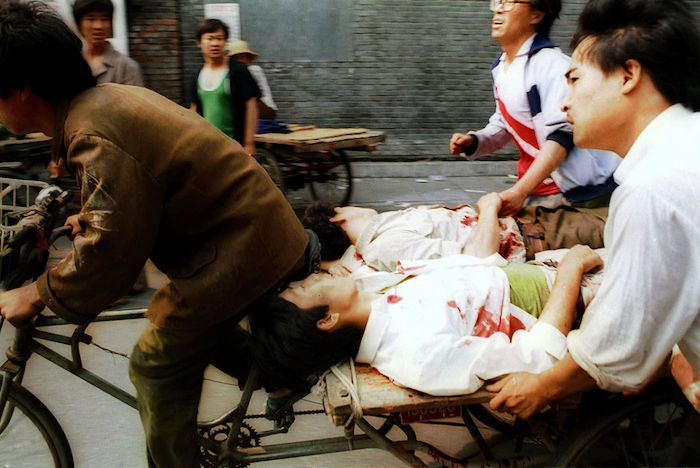 The result of the Chinese regime as a global abuser was rooted years ago. China was denounced by Western countries, including the United States, after the Communist regime massacred at least 10,000-student-led pro-democracy protesters on Tiananmen Square on June 4, 1989, according to a secret UK document released in 2017. Four years later, in 1993, President Bill Clinton removed human rights out of trade deals with Beijing, offering China the most-favored-nation (MFN) trade benefits, in a vain hope for the communist regime to ease its repression. The soft stance for engagement with China was maintained during Clinton’s eight years in office, and continued in the 16 years of his successors, Bush and Obama. The idea that trade benefits will encourage the Chinese regime following international standards in economic sector or human rights, was clearly a failure. “President George W. Bush worked to admit China to the World Trade Organization (WTO), thinking that membership in that organization would force the Chinese regime to liberalize its economic and domestic policy. Unfortunately, the World Trade Organization hasn’t changed China; instead, China has subverted the World Trade Organization,” Jim Talent wrote on Fox News. Communist-ruled China gained jobs, investments, and revenues at the cost of other countries in WTO, including the United States. Americans lost 3.4 million jobs from 2001, when China entered WTO, to 2015—the ending of the Obama administration. Many jobs “are just not going to come back,” said Obama in June 2016. “What magic wand do you have?” Obama asked Republican candidate Donald Trump, who promised to bring back jobs to American manufacturers. 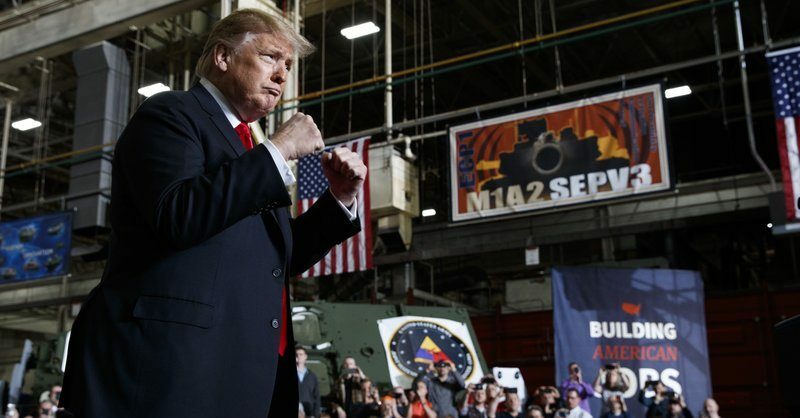 By reversing most of Obama’s legacy and setting a new tough line on China, President Trump proved that he has a magic wand: Jobs are booming in the United States, not only for the manufacturing sector but 2.6 million jobs overall were created in 2018 and over 5 million jobs have been added since Trump was elected. President Donald Trump made it clear that China can no longer make its get away with immunity. President Trump indeed asked China to change, holding Beijing accountable to international trade standards. 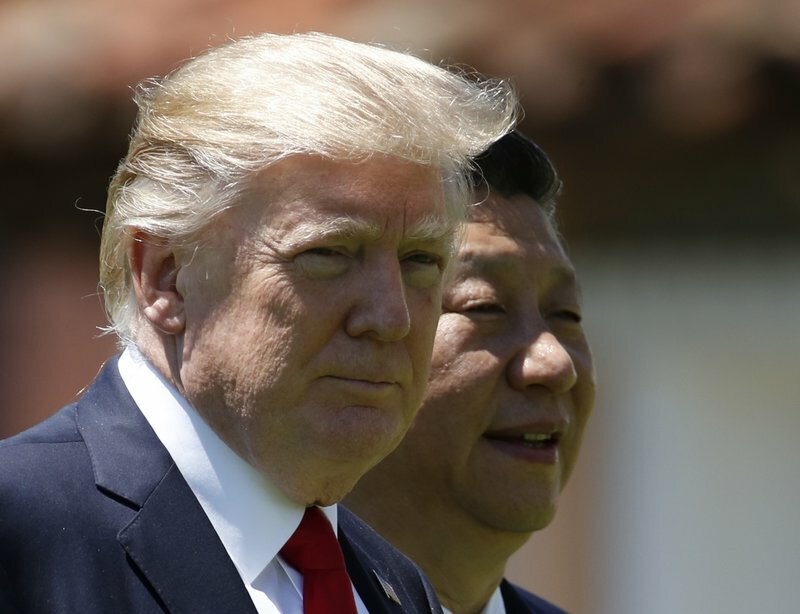 “For instance, China is hurriedly pushing through a new law ending the practice of forced technology transfers and violations of foreign companies’ intellectual property rights — something the U.S. has made a key priority in the current trade talks,” Dr. Gina Loudon, Ph.D., wrote on Washington Examiner. “For years, the weak leadership of former President Barack Obama let the vast communist dictatorship of China go completely unchecked in such theft. Now China is finally being held accountable, and investors are starting to realize that Trump knows what he’s doing here,” Loudon commented. 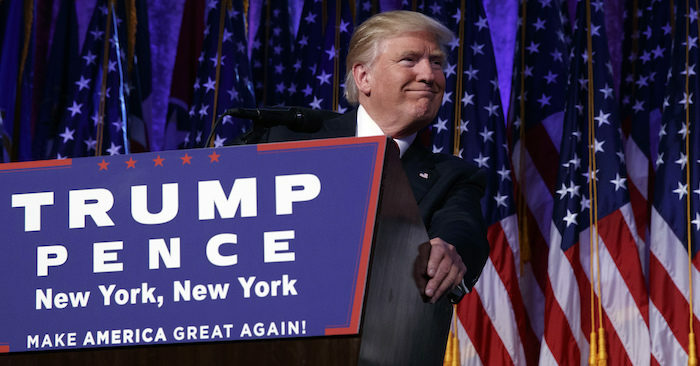 President Trump was criticized by mainstream media that tough tariffs on China would damage the U.S. economy, but the truth is the exact the opposite, experts said. “Under the Trump administration, the American economy is rising like a phoenix from the ashes of the overregulation, overtaxation, and bad trade deals that had threatened to suffocate it,” Steven W. Mosher, author of “Bully of Asia: Why China’s Dream is the New Threat to World Order,” wrote on Fox News. “I believe that the U.S. trade deficit with China can be eliminated completely, as the Chinese have been employing a very clever trade policy—to the detriment of the United States,” Ivan Martchev, an investment strategist at Navellier and Associates, wrote on Market Watch Jan. 25, 2019. China’s member status in WTO is being threatened as the Trump administration warned that Beijing may be evicted from the organization because of misbehavior. The president indicated that WTO was “unfair” to the United States while giving China “tremendous perks and advantages,” Reuters reported. President Trump denouncing of Chinese WTO violations was widely supported, even by his nonsupporters. Fareed Zakaria, from CNN said, “Donald Trump is right: China is a trade cheat,” while praising the administration’s report on China’s noncompliance in the WTO. 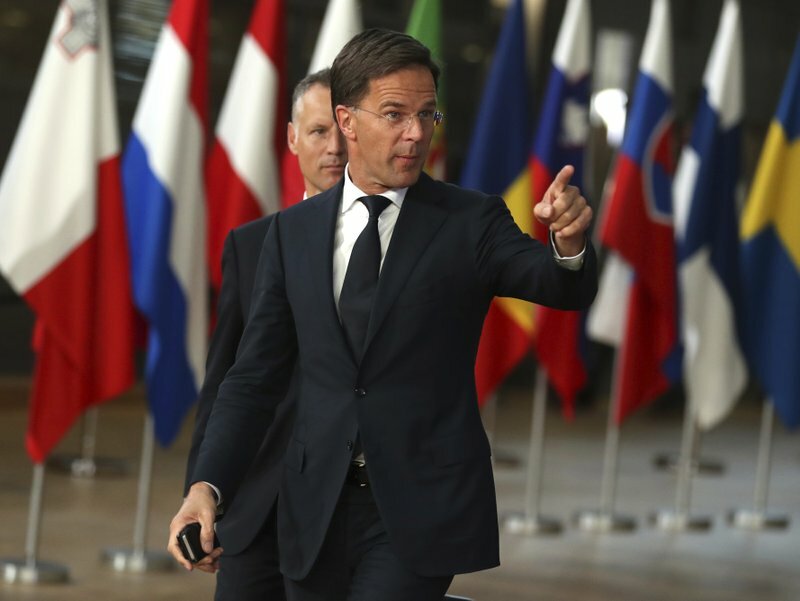 Dutch Prime Minister Mark Rutte believes that President Trump can implement much-needed reforms in WTO and other global organizations. The aggression of the second largest economy with a poor human rights record and rules compliance might have started decades ago, when President Clinton disconnected human rights and trade talks. By removing human rights from the negotiation table, Washington provided Beijing an open door to a global market, enriching their pockets at the cost of Americans and the world and financing their persecution machines against their citizens. 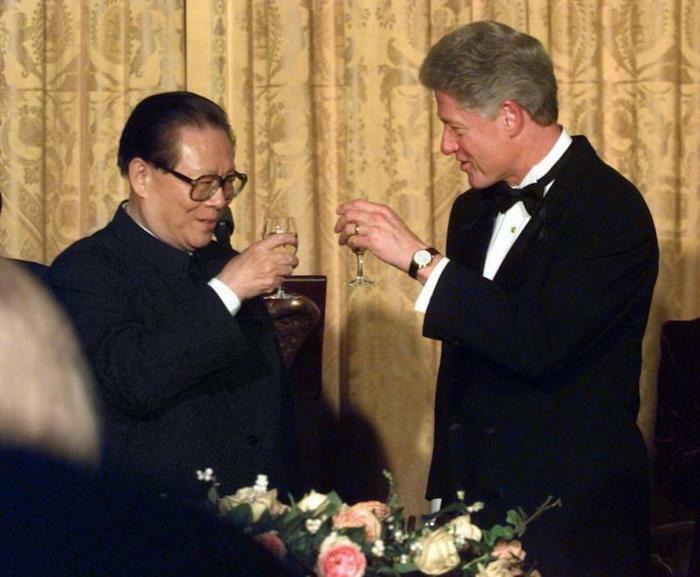 Two years after enjoying a state dinner with Clinton at the White House, in 1999 Jiang Zemin ordered the bloody persecution against Falun Gong, a cultivation system of combined exercises with the moral teachings of truthfulness, compassion, and forbearance. A “systematic, state-sanctioned organ harvesting” from Falun Gong practitioners and other religious groups has been the concern of U.S. House Rep. Ileana Ros-Leihtinen in resolution H.R. 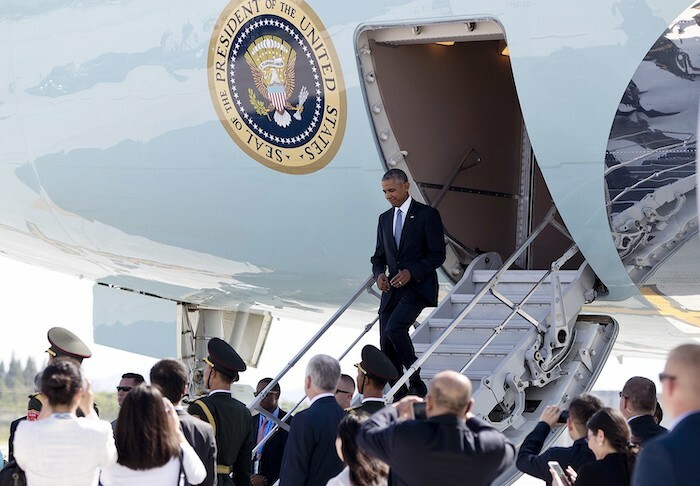 343, in June 2016, yet ignored by President Obama when he visited Beijing in September of the same year. The notorious transplant abuse was addressed by the Trump administration in its Country Reports on Human Rights Practices for 2018. 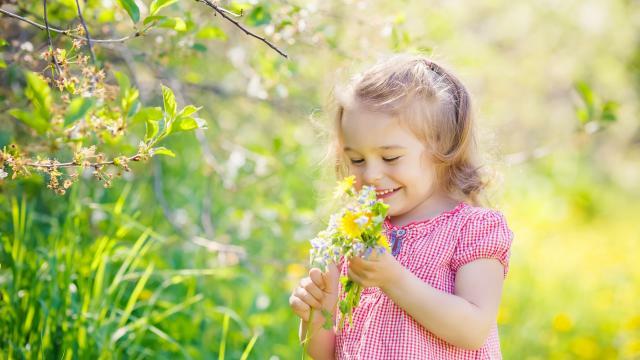 “Some activists and organizations continue to accuse the government of involuntarily harvesting organs from prisoners of conscience, especially members of Falun Gong,” said the report by Department of State. Jiang Zemin, who was sued internationally for genocides against Tibetans and Falun Gong, is living in China in retirement, while his abusive heritage continues on the mainland to the present day. As Clinton’s decision of separating human rights from the trade talks has been described by Autry as of removing “America’s most powerful instrument for producing good in the world,” President Trump is now at the right moment to make a historical impact on the world by rolling back the bad deal. “Relinking human rights with trade talks, applying the Magnitsky Act to surgeons and others participating in organ abuse, and warning U.S. universities about the risk of training surgeons from China, and so on, would all help.” The Epoch Times reported a statement by David Kilgour, former Canadian secretary of state for Asia-Pacific, who was nominated for Nobel Peace Prize for his efforts on exposing the transplant abuse in China. Kilgour said he believes that the Trump administration may hold the Chinese regime accountable for the crime of organ harvesting.